This is the ultimate in organic luxury skin care right here. May Lindstrom created a line of amazing products that are truly delicious. They are more than just skin care, they are a part of an uplifting daily ritual. The scents are divine, taking you away from your daily stresses. The Honey Mud is a cleanser and a mask – with a blend of honey, white halloysite clay, and botanical oils, it is has a pudding-like consistency and goes on like silk. The texture is like a chocolate mousse, and the smell is so yummy that you will be tempted to eat it! 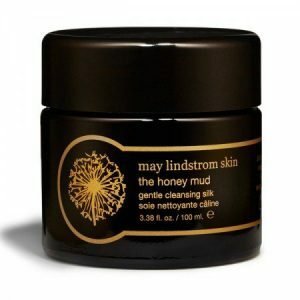 The honey mud cleanses, lifts away dirt and impurities, as well as softening and hydrating the skin. It helps heal blemishes, leaving the skin a more even tone. *** Raw Honey, White Halloysite Clay, * Macadamia Nut Oil, * Witch Hazel, Colloidal Silver, Cocoa Absolute Oil, * Sweet Orange Oil, * Ylang-Ylang Oil, * Vanilla CO2 Total Essential Oil, * Cedarwood Oil, ** Frankincense Oil, ** Myrrh Oil. Cocoa, vanilla, ylang-ylang, sweet orange, cedarwood, frankincense and myrrh……Now that is a smell I want to use daily! It smells like sweet honey and orange chocolate. When you use it, that heavenly aroma envelopes your whole being for as long as you have it on your skin. The texture is sticky and thick, it feels like honey. If you use it alone, it is hard to spread, but when you mix The Honey Mud with a little water, it is easy to apply. The application is smooth and The Honey Mud feels nice on my face, there is no irritation. I sort of expected some grit to this product, but it has none. It is smooth like silk. The product is easy to wash off and leaves a lingering honey scent. My skin is left feeling soft. There is no residue or redness. 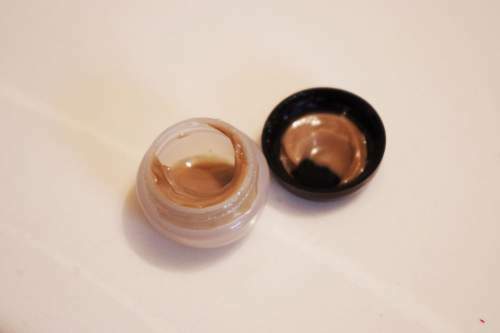 The honey mud is safe to use around the eye area. Raw Honey promotes healing, is naturally antibacterial and a humectant. Honey doesn’t strip the skin, nor does it upset your skins acid-mantle balance. The honey that May sources are from a trusted source that has happy, thriving bees. Halloysite Clay gently and deeply purifies and detoxifies your pores. Colloidal Silver is naturally anti-fungal and anti-bacterial, promotes healing*. Macadamia Nut Oil contains 17% palmitoleic acid, an omega 7 fatty acid. Omega 7 fatty acids are a key building block for skin, hair, and nails. Topically, it helps repair, nourish and protect your skin. Witch Hazel, Frankincense, and Myrrh help detoxify clogged skin. 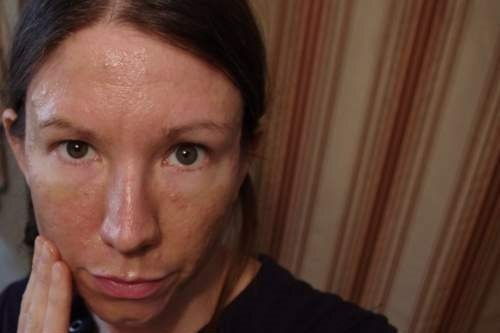 *About colloidal silver: Some people may be concerned about this ingredient. A small amount of silver is suspended in water and acts as a natural preservative as well as a skin healer. 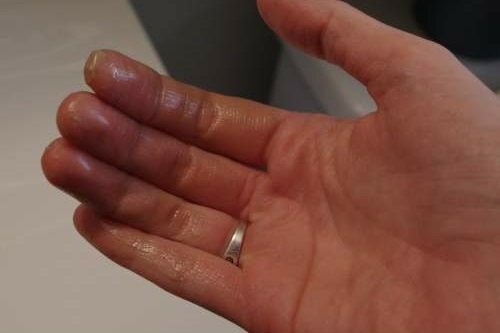 The dilution is incredibly small, there is no risk of Argyria – a blue tinged skin condition caused by excessive silver consumption. Silver has been proven to accelerate healing of burns, infections, and soft tissue damage. Used externally, it can help with acne, irritation, and inflammation. This can be used a cleanser or a mask. As a cleanser: Massage a pea-sized amount onto warm, damp skin. Use circular motions to remove makeup and debris. This cleanser won’t remove eye makeup very well, so remove your eye makeup first. After about 1-2 minutes of gentle rubbing, rinse it off. As a mask: Apply to clean, dry skin. Allow it to sit for 10-20 minutes – even up to an hour – so it can penetrate your skin. This is a comfortable mask to wear, there is no tightness or itching. The scent alone will make you enjoy wearing it for as long as you can stand it. When you are ready, rinse off. You can mix The Honey Mud with another of May’s products, such as The Problem Solver to really target congested or acne-prone skin. Alternate The Honey Mud with The Clean Dirt and follow with The Blue Cocoon. $ 80 for 3.38 oz. / 100ml. In a dark violet glass jar. It will last the longest if you use it as a mask rather than a cleanser. You can mix it with a little water in your hand to thin it out a bit. May Lindstrom recommends mixing it with some raw honey if you want to stretch it out. May’s products are meant to have a 1-year shelf life and will typically last you 6 months or more. A truly unique cleanser that gently lifts away debris, leaving the skin soft, without the use of foaming agents. It is safe for the eye area and works wonderfully as a makeup remover. 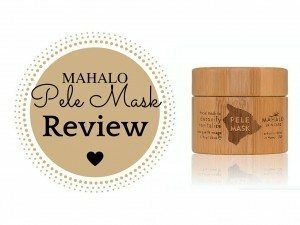 It doubles as a hydrating enzyme mask – perfect for all skin types. I love the ingredients in this product. Honey and White Halloysite Clay are exceptional skin detoxifiers. The Honey Mud left my skin feeling calm and happy. It is a gentle cleanser and is a wonderful addition to my skin care routine. This is a scrumptious and indulgent treat for your skin. Where Can You Get The Honey Mud? May Lindstrom’s products are not available on Amazon. 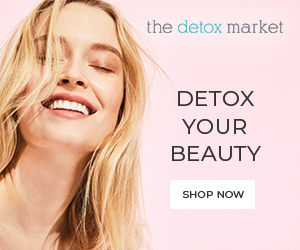 I recommend buying from The Detox Market (link below) because they offer free shipping over $80 (US) and $100 (CAD) and they take pride in only stocking and selling fresh products. You will not be getting a product that has been sitting on a shelf for months. The Detox Market has a Canadian and American store. 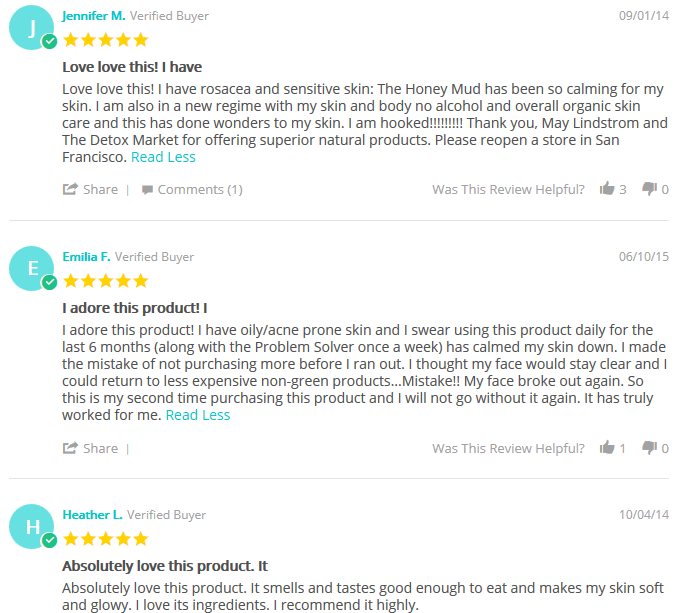 Have you tried The Honey Mud? Let us know what you thought in the comments below! Hello and GOD bless you. Hope that you are having a fabulous day. I am truly Loving the sound of your fabulous product, however, the price is definitely “up there” especially for purchasing, sight unseen. Just a suggestion…would you Please consider a sample size of perhaps $10-15?? 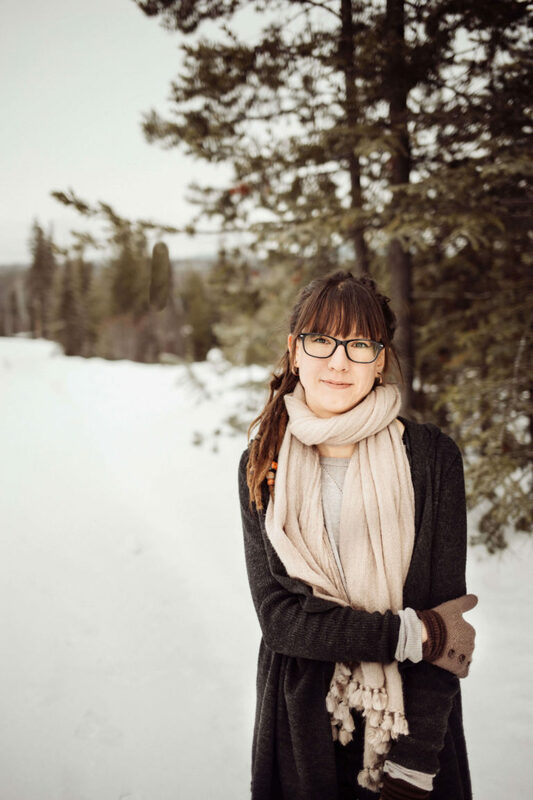 Marge, who owns All Natural Cosmetics/Cosmetics without Synthetics out of California, offers samples for EVERY ONE of the products she distributes, as well as her own. It helps a LOT with her follow-up sales. You will NEVER know how many sales you are missing out on, by not letting the product be test-driven. Just a suggestion, of course!!! Thanks for your comment Donna. Yes I agree, the price is high. Some of the shops that we recommend do have sample programs were you can purchase samples of products. 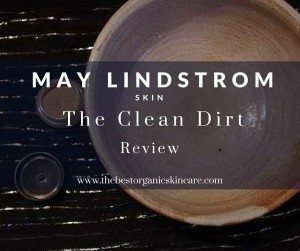 I haven’t personally tried this product but I have tried other products by May Lindstrom, and they are very very nice. I would trust that this would be an excellent product. When I consider the purchase of a product, I look at the ingredients. I can usually tell if I will like it just based on that. 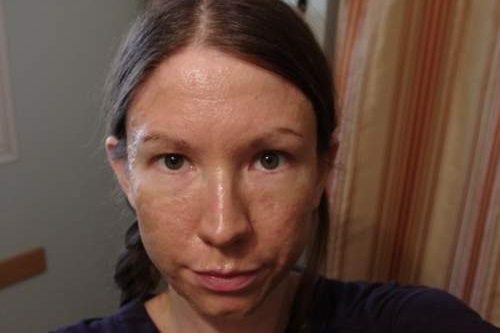 Yes Aileen, this product is great for mature skin.